Perfect small tribute for a loved friend. 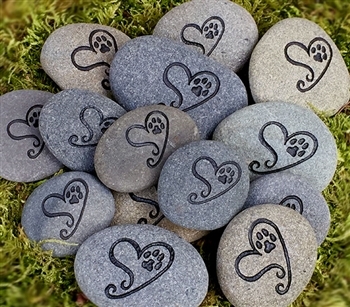 These cute little stones are 1.5"-2.5" in size, etched with just a graphic. 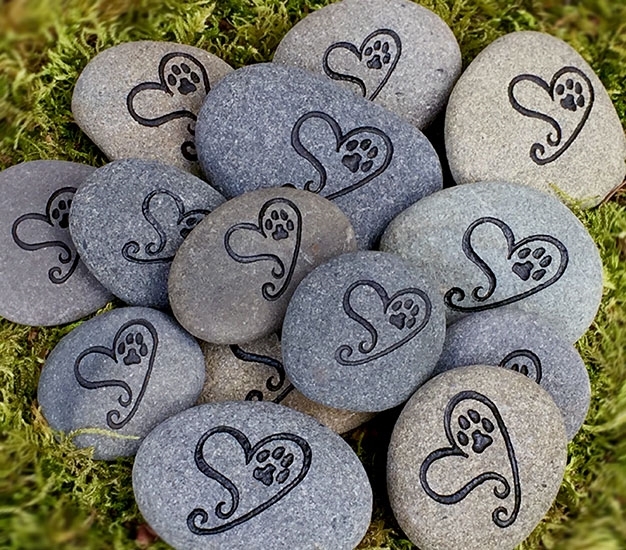 A token of loving memory can be carried around in your pocket, handbag, or placed in a special area. The graphic in the photo is of the heart swirl design. You can order them individually or in bulk. A selection of graphics available for this size stone are listed below. Shipped in 5-7 business days.